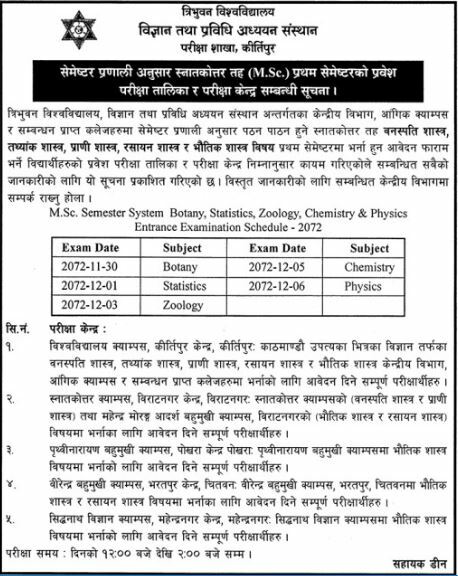 Tribhuvan University, Institute of Science and Technology, Examination Department, Kirtipur has published a notice regarding M.Sc first year, first semester entrance examination of Botany, Statistics, Zoology, Chemistry and Physics. M.Sc. Semester System Botany, Statistics, Zoology, Chemistry and Physics.